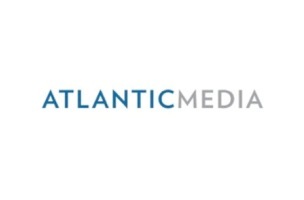 Atlantic Media Chairman and CEO David Bradley announced some big changes at the top of their Washington divisions today. The top-of-the-masthead shuffle is partly a response to the imminent departure of Bruce Gottlieb, who is currently serving as President of National Journal and General Council for Atlantic Media. He will be returning to his roots in policy and government affairs. National Journal Chief Revenue Office Poppy MacDonald has been promoted to Publisher and Co-President of that publication. She will take on some of Gottlieb’s responsibilities, while continuing to lead NJ’s revenue line, as well as business development, marketing, and advertising. She will also oversee National Journal Live, the pub’s events business. And NJ Editor-in-Chief Tim Grieve will share Presidential responsibility with MacDonald, adding Co-President to his title. He will be responsible for editorial strategy and new editorial products for the brand. National Journal will also be grouped together with fellow Atlantic Media publication Government Executive under the unified leadership of Tim Hartman. Hartman, current President of Government Executive Media Group (GEMG), has been named CEO of Atlantic Media’s Washington divisions. He will now add National Journal Group to his portfolio and continue to lead Government Executive as he has for the past two years. The GEMG umbrella also includes online publications Defense One and NextGov. And finally, Deputy General Counsel Aretae Wyler will succeed Gottlieb as General Counsel of Atlantic Media. She will also continue to serve as Bradley’s chief of staff.